We are still honoring Women’s History Month with all women artists on WJSS Weekend Sounds in March. 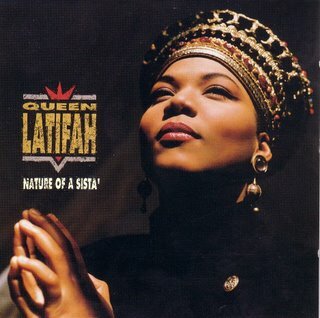 Here’s Queen Latifah–I remember when I first heard and saw this video on MTV way back when, I knew the Queen was going to be a force to be reckoned with. Strong, bold, fresh, carrying herself with such confidence and dignity, she left me wanting more, and the desire to feel that I could be strong like her, and the women she rapped about. Ladies First, indeed. Wow, thank you, so so much for your words here. I feel so honored to receive your praise for my writings here. I loved hearing about your similar feelings “toward the other way” toward white women. It’s not something I hear all that often–as much as you hear white folks saying how much they love black culture, so thank you so much for sharing here, and for making it okay for me to say how much I love connecting with people of color, and learning about and sharing in their culture. To me, that’s what makes life rich–to connect with others different from us, yet, really the same, since we are all connected as one human race. I would love to talk to you more about your experiences, and your growing up in Cleveland Heights–please feel free to reach out by contacting me through the Contact page here. Thank you again, Sherry for reaching out with your kind words–you really made my day. And, I am so glad you found out about Debby Irving’s book Waking Up White–it’s a great account of her own personal journey in regards to race and race relations, and so a valuable read which we all can learn and grow from.